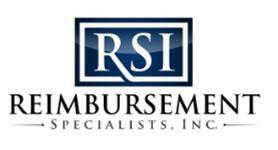 Administration by Reimbursement Specialists, Inc.
CBA’s strategic partnerships with leading health insurers, allows us to design, implement and service creative cost savings strategies for the benefit of our clients at our corporate office. We are uniquely positioned to process claim payments directly to the Health Care Provider that minimizes the member’s involvement in the process. With an experienced Claims Administration Department, you are assured of personal comprehensive service and support. In addition to personal service, we provide web-based online administration. You can rely on CBA for the most flexible and streamlined claims administration, COBRA services as well as superior service. For more information, contact us at (855) 493-9859 or visit www.rsiadmin.com.